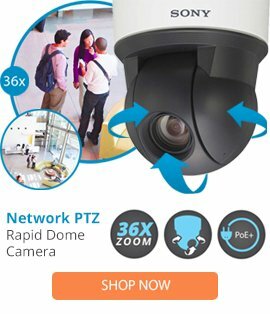 The DD4N-B is a high performance Spectra Mini IP indoor dome security camera from Pelco which is a camera module replacement designed for the Spectra Mini IP system. The DD4N-B Mini IP dome comes with 470 TV lines of high resolution, MPEG-4/MJPEG compression format support, a 180 degrees auto flip, plus 8x digital zoom, and 10x optical zoom. The DD4N-B indoor dome also features a 3.0lux minimum illumination, auto focus, a UTP circuit, as well as low light functioning, NTSC support, and 64 presets. This exceptional Spectra Mini IP dome device can be used as a surface or recess mountable product, comes with a black coloring that can easily blend in with the surrounding areas for use in both commercial and residential areas.